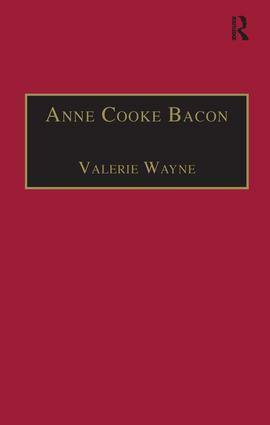 Contents: Introductory note; Anne Cooke Bacon, trans. : Fouretene sermons of Barnardine Ochyne; Anne Cooke Bacon, trans. : Sermons vii-xi, Certayne Sermons of the ryghte famous and excellente clerk master Barnardine Ochine; Anne Cooke Bacon, trans. : Bishop John Jewel, An Apologie or answere in defence of the Churche of Englande.